My husband and I are always looking for more opportunities to travel and one possible avenue is to secure employment overseas. Though research has led us to conclude that (unless a fantastic opportunity were to come along) staying here in the UK and continuing to travel in the school holidays offers us the best quality of life. Whilst this conclusion is based on our lifestyle factors at this time in our lives (we have just bought a lovely four bedroom house and have a baby on the way! ), should we have met a few years earlier I have no doubt that we would have pursued some different avenues. One such example would be to live and work in Dubai, where the employment packages are competitive, you pay no income taxes (this would have been a great way to save for a deposit on a house!) and you get to live in the cosmopolitan and exciting city of Dubai whilst enjoying year-round sunshine. Last year my husband was offered numerous jobs in Dubai as a secondary school teacher in international schools, and whilst the packages offered didn’t meet our expectations for this time in our lives, it would have been perfect should we have been in our early-mid twenties and pre marriage, mortgage and children! So for those of you who are looking to make the jump, I would like to share our experiences and offer you some advice for securing that teaching job in the UAE. These tips apply weather you’re looking for TEFL work or whether you are a qualified teacher specialising in another subject. When recruiting from the UK, Dubai schools use recruitment companies and these companies often are filling positions in multiple schools. They normally start looking in November for the following September start. The earlier they get your CV and covering letter, the more chance it has of being distributed around. It means you’ll need to give your current school a heads up early though that you’re thinking of moving on. Every Dubai school is extremely proud of itself and believes it offers something incredible to the students. They will want to know why you want to go to THEIR specific school. Look for academic results, league tables and reviews, does it have a primary school for example? This information might not always be available as every year new schools are opening up. Do they currently have other schools running as part of their group? Is the school a business or charity? Dubai schools can often be run as a business first, education second. Read blog accounts from teachers that are out in current schools to get a flavour of which one has struck the right balance for teachers. Dubai schools often have a high turn over of staff, so there are good opportunities to progress into management level positions if you stay at a school for a length of time. Make sure you have management skills you can easily talk about to show they should employ you. They prefer to appoint staff they think will stay for longer than the required 2 years. Dubai schools are always trying to create their own identities and like to see what you would do to the teaching classroom to see if it fits into their ethos. This is often a way Dubai interviews differ from the UK. The pay scale is linked directly to the number of years you have been teaching. They normally insist you have had at least 2 years of experience first before they consider you. Don’t go thinking you’ll be able to negotiate too hard on your salary. The schools are often of the opinion that you should want to go to their school, rather than thinking the schools desperately wanting you. The salary will probably be higher than what you will receive in the UK and will be tax free. However cost of living in Dubai can be very expensive. Accommodation will depend on your personal situation I.e. Husband, wife, children? Dubai has strict laws regarding non married couples living together. If you are in an relationship and not married, think again about living together. Normally they will offer you an apartment close to the school in one of their apartment blocks. Being offered a housing allowance is very rare to start with, so is being offered a villa with a swimming pool. Don’t expect to deliver a lesson or showcase your expert exam knowledge of your subject. Instead you’ll be interviewed by a senior member of the school, most likely the head teacher. They will want to know your exam results, your style of teaching and what extra you can bring to the school. Remember they are often new in the post too so are looking to make their mark by employing the best teachers from the UK. Competition of getting a job in Dubai is high with many teachers keen to experience the lifestyle. Therefore expect for the schools to offer you the position and want an answer within 24 hours. The head teachers fly over from Dubai especially for the interview, they don’t want to be messed around. Make sure you have a strong sense of why you want to go. Dubai is not just a different country, but a different culture. The country has many opportunities to offer, but also some strict laws on clothing, kissing in public and drinking. Dubai schools want to know why you want to come to Dubai and what attracts you to the country. They are particularly keen if you have visited the country before and know people already out there. 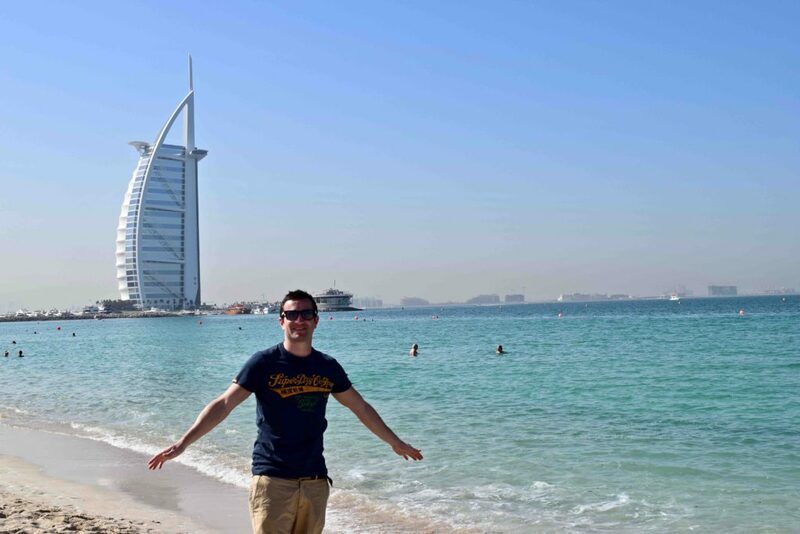 I hope this blog post helps answer some of the questions you might have when thinking about getting a teaching job in Dubai. If you have any further tips i’d love to hear them- drop them in the comments box below, and good luck with your job search! Any idea of starting salaries for experienced teachers? informative blog. thanks for sharing the details.